As a restaurateur, you know what it means to be busy. It’s nights and weekends with culinary masterpieces to make, dishes to wash, and repeat customers to keep happy. You don’t have time to deal with an accounting software that can’t keep up with the restaurant business. 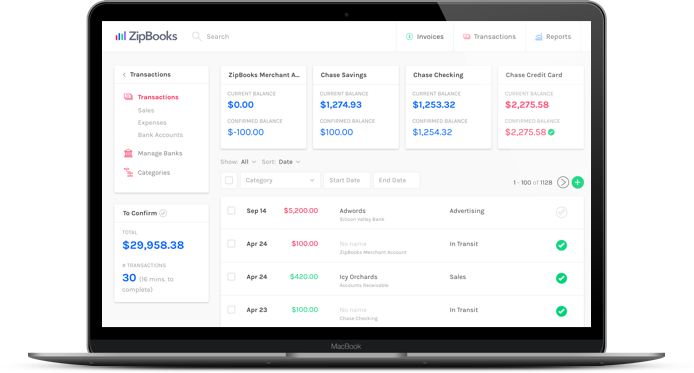 Fortunately, we created ZipBooks to be a no-hassle bookkeeping solution for small business owners just like you. 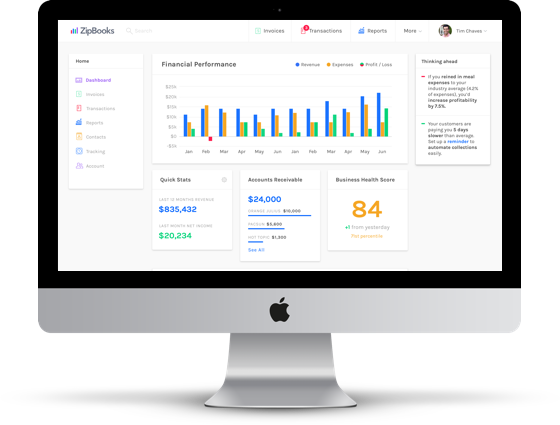 With ZipBooks, free restaurant accounting software you can quickly monitor how much cash you have every month and where it’s coming from, which means you can stop hoarding receipts in that flour-covered file cabinet and get back to creating delicious meals and making people happy. Overwhelmed by the number of expensive accounting software options but not sure you’re ready to hire an accountant? We know that when you’re running a small business, every dollar counts. That’s why we designed ZipBooks to be an affordable DIY alternative that you’ll continue to love and use, even when you finally land your own Food Network show. 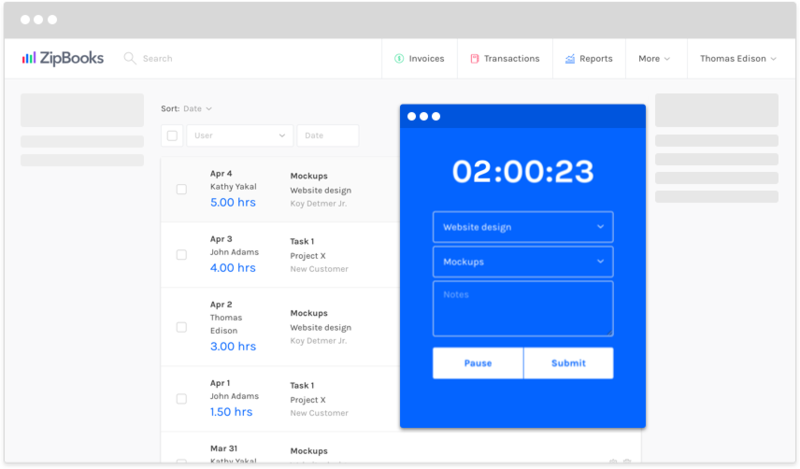 Our free features include customized invoices and emails, time tracking, and advanced financial reports you can organize by quarter to make tax time a breeze. Plus, if you need help with payroll, tax prep, or even if you want to move your bookkeeping to an online service, ZipBooks can handle that, too. 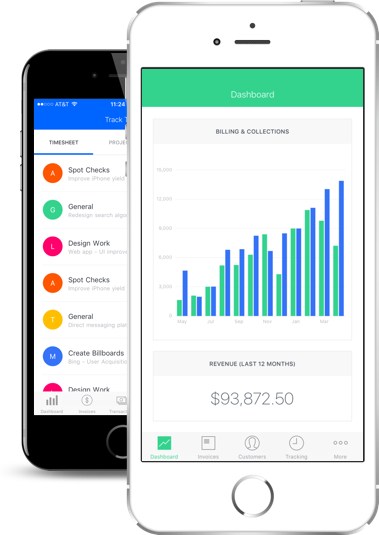 As a busy entrepreneur, you need access to all of your business financials wherever you go, not just when you’re sitting in the office at the end of the dinner rush. ZipBooks gives you the freedom to access your financial information from anywhere that's connected to the internet. Drag-and-drop expense receipts to document your deductible expenses or send send invoices built with our free template for catering services in just a few clicks. 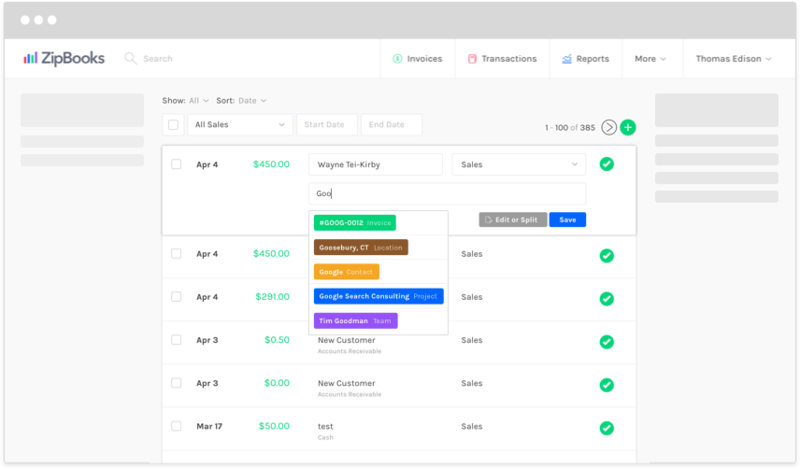 Plus, you can set up automatic reminders so ZipBooks will alert your customers when a payment is due and notify you when money hits the bank. Running a restaurant means that you also run a catering company, an event venue, and a professional networking space. That requires a lot of extra scheduling and a lot of extra invoices. 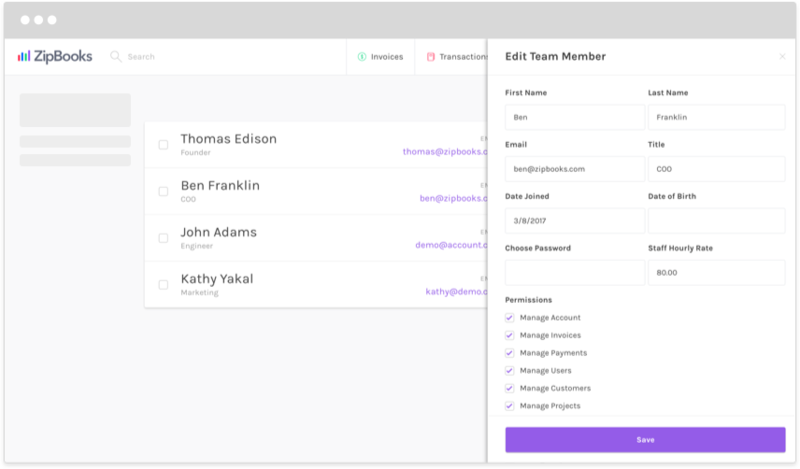 Cut your admin work in half by using ZipBooks to create professional invoice templates that take just seconds to customize and send. You can even add your restaurant’s logo so your invoices match the rest of your branding. 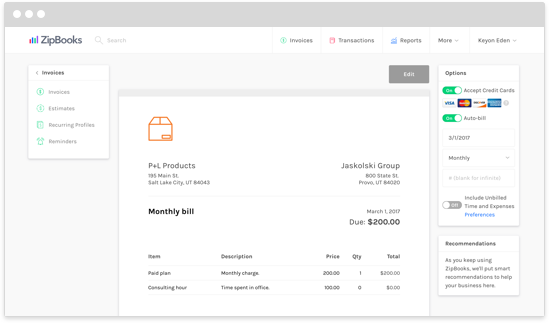 Also, ZipBooks keeps track of the status of every invoice, so you always know whether your client has seen the bill and whether you’ve been paid. Who needs a cluttered file cabinet? Not you! Our free phone and desktop app helps keep your restaurant financials organized and paperless, and all of your personal data is secured with 256-bit SSL encryption. Your days of hastily writing catering invoices on the back of napkins are long over. 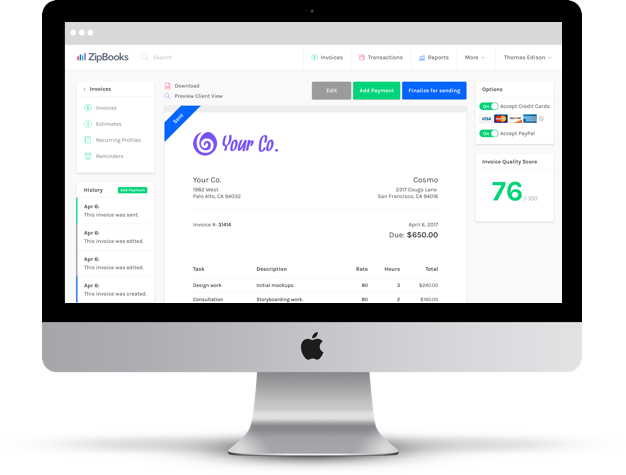 With ZipBooks, you can quickly send digital invoices and reminders and accept payments by credit card, PayPal, or Stripe, giving you and your clients a better experience. We don’t believe in hidden fees or forcing our users to upgrade. Feel free to check your balances, create reports, and edit your account settings as much as you want, all for free.